I checked back in with my friend about her son Jeffrey to see how he was doing in college. She reported he was doing very well but taking a reduced load in college due to his executive functioning difficulties. As Jeffrey struggles with organization, and time management, juggling too many classes at a time is difficult for him. Often he might lose track of his materials, including key items, such as his wallet and keys and he requires additional time to sequence tasks. As this put him on a “6-year plan” to receive his degree, she and her husband told Jeffrey he needed to get a job. They brainstormed with Jeffrey options for part time positions that would be suitable to earn extra money while still allowing time to study. He responded with his typical enthusiasm and wanted to take some ownership of the process. 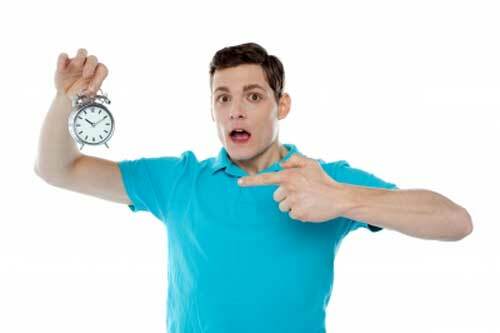 Applying the principles of time-management he has learned, Jeffrey looked for a job allowing him to earn the maximum amount of money with the smallest amount of time required to fit into his busy schedule. My friend saw the humor in this job option for her son, as well as the extreme mismatch of skills needed for a job that has such a small margin for error – preparing parachutes for someone who’s relying on a parachute to open while jumping out of a plane. According to Russell Barkley, Ph.D.’s research, people’s attentional deficits, and the accompanying executive deficits lag behind their peers. Parents therefore have children who are developmentally functioning at a younger age than their actual age. This is complicated, frustrating, and confusing to have a son in his early 20’s who is functioning more like a high school age student. However, understanding this developmental lag can help parents have a more realistic view of their adult child. Demystify the student’s learning style. The field of special education has knowledgeable experts and clear measures to evaluate students. However, the evaluation process is truly complete when the students are their own experts regarding their strengths, weaknesses and needs. In stages appropriate to them, allow them to manage the help they’re receiving. Often students who have a history of special needs develop learned helplessness, and a passive learning style due to the amount of help they’ve received. Young adulthood can be the time to gradually transfer the control to them to set goals and use those assisting them as consultants. Set manageable and measurable goals. Instead of what might be an overwhelming goal such as a college degree, it might be, “my goal is I will go to 90% of my classes.” I will achieve this goal by following the time management chart I fill out with my coach. Many successful adults have taken stock of their strengths and weaknesses and find occupations that are the best match for their talents and narrow their tasks to what they do best. 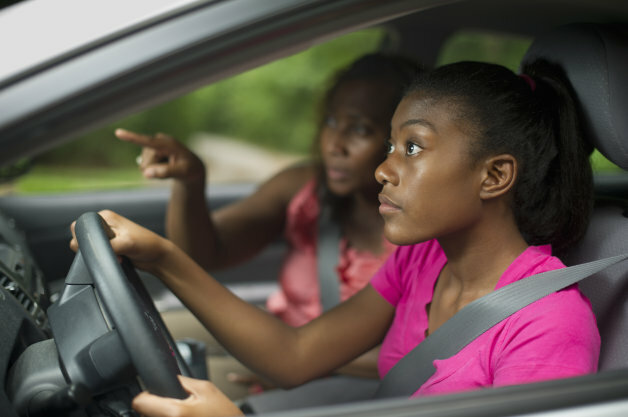 “Do you have any suggested reading or tips on teaching a kid with attention and EF issues to drive? Jeremy thankfully has a very good sense of handling the car, but seems to get stuck on thinking and driving at the same time. The ability to control his immediate reaction to a stimulus. rushing through a light if he’s in a hurry. than his emotional response in the moment. Driving puts a big load on the working memory. setting the music before he starts the car, etc. drink while at a stop light. How do I Interpret the ERB Results? This is a topic I discuss with parents frequently. While multiple-choice tests aren’t necessarily a valid indicator of many students’ actual abilities, they are a reality when applying to independent schools and colleges. This is so confusing! How do I interpret the scores? These are the norms that compare your child’s performance to other students in their same grade from public and private schools throughout the country. This a wide range to draw from, including differing urban and rural areas as well as socioeconomic status. These norms are typically more generous than the Independent School Norms. These are the Norms taken from students at Independent Schools that typically have enriched curriculum and you will notice your child’s scores are lower in that column. Some schools also report School Norms – this provides you with the score your child has received relative to his/her peers in his own school. How can my child be getting all excellent scores on their report cards and lower scores on the ERBs? The ERBs measure how a child performs using a paper and pencil, or on the computer, under time pressure on a typically unfamiliar task. Additionally, many children are not exposed to multiple-choice tests. Grade reports are the results of the total performance of a child over the school year and a more accurate reflection of how they are performing on a subject. What if my child did not perform well on all/some of the subjects? Standardized test scores can be a “red flag” for underlying difficulties that a student might be masking in a classroom. Poor test performance overall, or in one area that hasn’t yet been identified is cause for discussion with your child’s school. There was NO change from last year. Shouldn’t the scores be improving? Not necessarily. The grade level demands also increase with your child’s age – if they are remaining consistent, this can be a good sign that their skills are remaining at grade level. What if the scores have gone down? A weaker score from one year to the next can be the result of anything from a bad day on the part of the student, to a sign that the course was poorly presented in school. I’ve seen this happen when there was a substitute teacher in the middle of the year and there was a disruption in the coursework for the students. First, take note whether your child had a good night’s sleep that day, went to school having had a good breakfast, was upset about something, before investigating other options. 1. My child performed poorly on both math and reading. Is there a relationship between the reading and math troubles? There can be. Students who have trouble at the symbol level of reading, may also struggle with making meaning of numbers. Often students need a “story behind the numbers” to perform computation tasks. Also, students who are poor readers have similar difficulty comprehending word problems. 2. How do you evaluate her poor performance given her progress in educational remediation? Students can make great progress with educational remediation, yet still have difficulty transferring those skills to a new format like a standardized test. 3. What is the difference between how she’s taught and the format of the test? Many independent elementary schools emphasize critical thinking and include a high level of student and teacher interaction throughout the school day. The ERBs lack that interaction, and require the students to independently interpret each test item without any feedback. Additionally, this school administered the ERBs on the computer. 4. How will you be helping her? We use these test results as one more way to assess progress. In this case, it is helpful to see which skills she has mastered and could successfully apply to the ERB format and where she was particularly challenged. Her plan will include a review of the weaker areas demonstrated on the test, as well as strategies to approach objective tests. 5. Is there anything we can do at home? The short answer is YES. However, we want to make sure your child is open and not resistant to working with their parent(s). In general, we recommend building students’ strengths, as well as weaknesses. 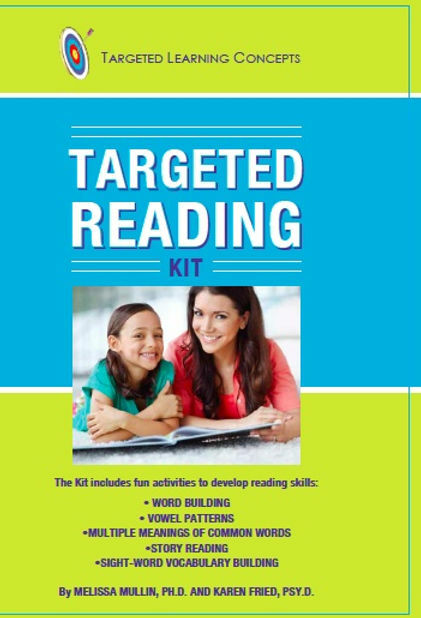 Skills such as vocabulary and basic math skills can be reinforced at home. 6. 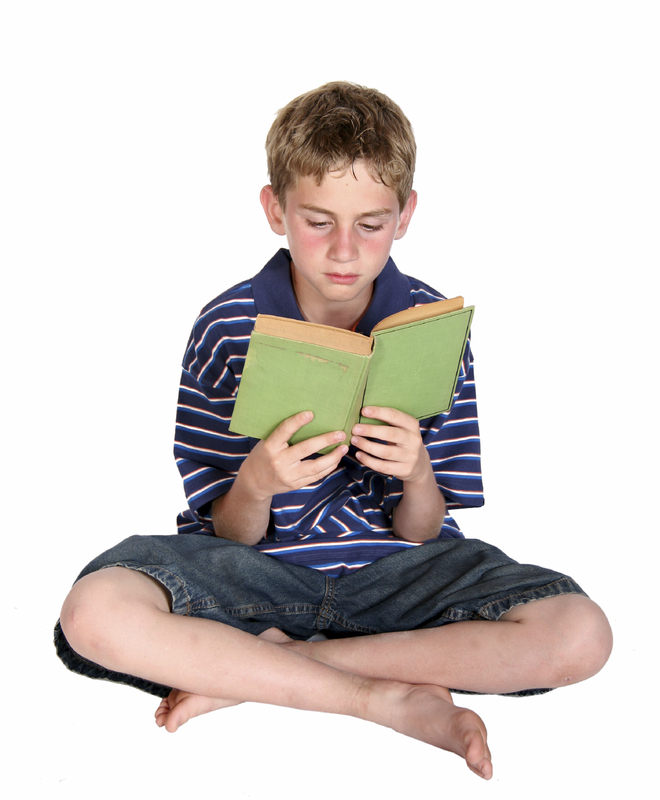 How do you explain the gap between the Auditory and Reading Comprehension tests? For 3rd graders, the Auditory Comprehension test is presented orally, so the students who have difficulty reading will often perform better on that test than the Reading Comprehension. 7. 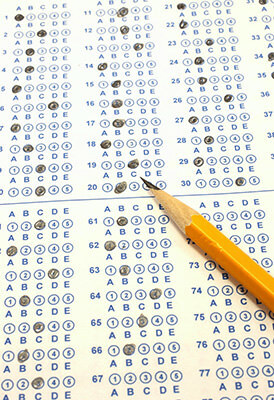 How do schools weigh the standardized tests/ERBs results for admissions’ considerations? Of course, this question is best answered by the admissions’ reps at the independent schools. Our experience is that some schools do review the ERB tests as well as the ISEEs (Independent School Entrance Examinations). The amount of weight placed upon the scores depends upon the type of school, as well as the other qualities the students possess. They might say the wrong thing in conversation and not realize it until everybody laughs. They don’t do as well on tests as they think they do. Our goal for students is to back up their confidence with actual mastery. What we know is that language processing problems can be fixed and these students don’t have to continue making inadvertent errors. The plan for this student included remediation in language processing and executive functioning skills using the K&M Center Executive Functioning program. Please call our center at 1-310-582-1563 ext 102 to receive help in these or other areas of the learning process. These were the words a former student, Emma, would tell me when she was ready to learn. Because Emma had weak attention, she often got distracted and missed out on directions given in class. When it was time to begin working, she was one of the students who was unsure how to complete the assignment. As a result, Emma would distract others by looking around at their work or by talking to her neighbors, trying to get someone to explain what she had missed. If you have a child who would benefit from executive functioning or metacognitive help, please feel free to visit our website: The K&M Center. 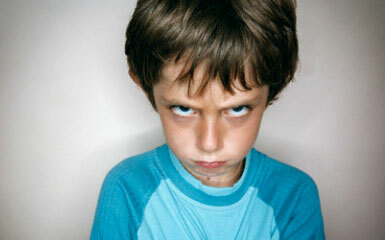 “You don’t know how to parent!” – spoken like any frustrated 10 year-old. James lost his iPad privileges because his parents realized he had stopped reading because games like Flappy Bird, 2048, and Doodle Jump were just too much fun. Despite frequent reminders to read, it seemed every time James’ parents walked by, James head was slumped over his device and he was swiping away. In consultation with James’ parents, we discussed whether there were any underlying reasons why James could be avoiding reading. For example, did he have any learning or attention challenges? After that was ruled out, we discussed a strategy of restricting use of the iPad and explaining to James to value of reading. Once they noticed he was spending his free time reading, he would again be able to use the ipad and play his games. However, James’ first response was his certainty that his parents were incompetent (see above). When James’ parents held firm and suggested books that he would enjoy, read with him consistently, and engaged in discussions about the stories, James showed signs of rediscovering the joy of reading. He (barely) mentioned his iPad and enjoyed the attention his parents paid to him. A week later James got his iPad back and he and his family now have a new daily routine in place that includes reading. While technology is an important part of all our lives for work and play, it can be a distraction from other productive activities such as reading or other projects. Besides determining whether there is an underlying cause, parents can also monitor their own use of technology. Modeling time off the phone and computer to engage with family can send the powerful message to your children that you follow the same habits you’re asking of them. My dear friend said these words to her son, Jeffrey, and her husband when the school psychologist told them that Jeffrey was eligible to have college tuition paid for by the Department of Rehabilitation. Like many families we work with, my friend advocated for her son. It was only through proper diagnosis and treatment for his learning challenges that college even became an option. Study skills and organization were ongoing struggles. They used calendars on the walls, on-line calendars, phone alarms, you name it, to keep him on track. She also faced the painful news that Jeffrey’s difficulties were long-term and required consistent support. 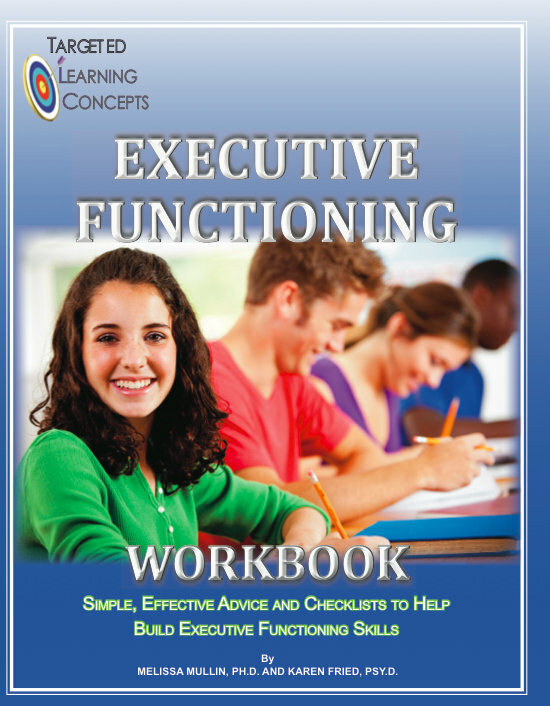 To see the kinds of exercises and checklists that students like Jeffrey and countless others have benefitted from, check out The K&M Center Executive Functioning Workbook. You can also check out the K&M Executive Functioning Program for more information including a free executive functioning questionairre. Have questions? Feel free to contact The K&M Center at 1-310-582-1563 ext 102.